Якщо український уряд не буде відкритим до думки громадськості, то Єврокомісія не надасть Україні фінансову допомогу обсягом 35 мільйонів євро на державні проекти із захисту довкілля. Про це Deutsche Welle розповів Давід Стулік, координатор програм преси та інформації Представництва Європейської Комісії в Україні. За його словами, у Європейській Комісії знають про дискусію щодо недостатніх громадських консультацій задля вироблення Національної екологічної стратегії України. Саме на це нарікають українські екологічні організації. «Стратегія має призводити до позитивних зрушень у країні. Існуюча ж екологічна стратегія має чимало недоліків. А міністр екології України навіть не приховує, що через гроші документ поспішали ухвалити, не беручи до уваги рекомендації експертів», - пояснює координатор співпраці мережі «CEE Bankwatch Network» й співробітник Національного екоцентру України Олексій Пасюк. Ухвалення стратегії до кінця року має ключову роль для отримання Україною від ЄС фінансової підтримки за екологічним напрямом. У Єврокомісії наголошують – консультування з організаціями громадянського суспільства є однією з умов фінансової допомоги. 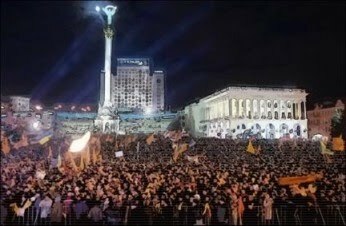 Давід Стулік каже, що Єврокомісія вже обговорила це питання з українцями, й наполягає, що стратегію мають розробляти відкрито, прозоро, з урахуванням думок зацікавлених сторін. NEW YORK—Ukraine's president said Kiev is determined to join the European Union, but also needs to maintain strong ties with Moscow to ensure his country can serve as a dependable conduit for Russian energy supplies to the West. 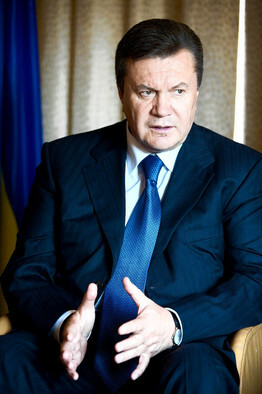 President Viktor Yanukovych, in New York on Wednesday. President Viktor Yanukovych, who has devoted considerable effort since his election earlier this year to mending Ukraine's badly frayed relations with Moscow, said Wednesday that Kiev is "already playing the role of a reliable bridge" between Europe and Russia. "Ukraine is moving steadfastly along the road of European integration," Mr. Yanukovych told The Wall Street Journal in an interview ahead of this week's United Nations General Assembly meetings. But, he said, "we don't want to insult anyone as we take that road." Given Ukraine's location and its desire to profit from Russian energy shipments to the EU, "we are doomed to keep a good balance," he said. 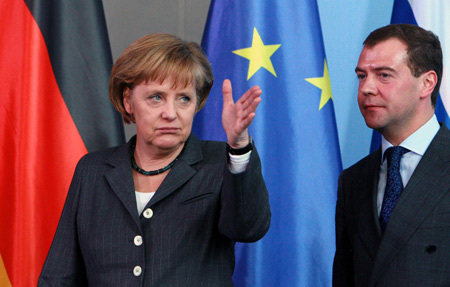 Mr. Yanukovych has met with EU leaders to discuss the initial steps toward membership in the regional bloc. A summit between the two sides is set for November. 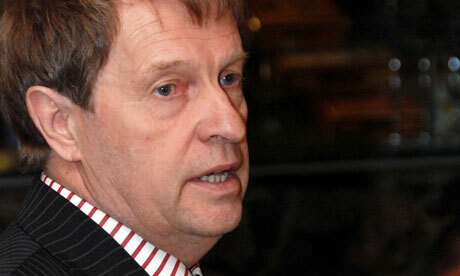 Ukraine is also negotiating a free-trade agreement with the EU. 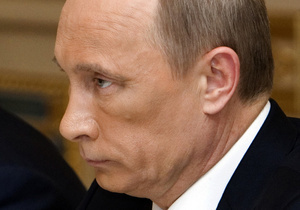 Mr. Yanukovych said Russia isn't opposed to EU membership for Ukraine. After Ukraine's Orange Revolution in 2004, which brought outspokenly pro-Western politicians to power in Kiev, relations between Ukraine and Russia deteriorated sharply. Spats between Kiev and Moscow led to serious disruptions in gas flows to Western Europe. Relatives looking at a wall with the names of the Katyn dead during a ceremony in Kharkiv, Ukraine, on Saturday. WARSAW — Poles' view of Russia-Poland relations have turned negative again after a thaw following the airplane crash that killed Poland's president and 95 others in Smolensk in April, a survey showed Friday. The death of President Lech Kaczynski, his wife Maria and 94 others, mostly senior state officials, in Smolensk sparked a wave of sympathy in Poland and Russia. Warsaw's efforts to improve relations — traditionally strained over history, energy and security issues — with its communist-era overlord Moscow have gathered pace since. But a series of hiccups has reversed the trend, and a new CBOS poll showed 28 percent of Poles are now negative about Warsaw-Moscow ties, while 26 are positive. The remainder said they could not say either way. A CBOS survey in May showed that twice as many Poles assessed Polish-Russian ties as positive than held the opposite view. "The actions of the Russian side aimed at establishing the reason of the plane crash are viewed negatively by more than half of Poles (56 percent), compared with less than one-third (31 percent) who think they are good," CBOS said in a statement. The State Special Communications and Information Protection Service has plans to start up the integrated protected system of electronic document flow, Electronic Ukraine, in the first quarter of 2011, deputy chairman of the Special Communications Service Petro Yatsuk has announced at a news conference. In his words, the Electronic Ukraine is a platform for the electronic government turnover made in the form of a web portal, designed for running on any operating system. Ukrainian Special Systems, a state-owned enterprise, was engaged in development of this system. Enterprise deputy director-general Oleksii Yaremenko says the entire work flow in the Electronic Ukraine system is built on identity authentication, any operation with documents demands digital signature. At the moment technical specifications of the system are being reconciled with the Justice Ministry. They suppose to start a test run of the system in October. NEW YORK—Russian-friendly Ukrainian President Viktor Yanukovych this week assured the Ukrainian Diaspora in the United States that he does not deny the existence of the communist-era famine that killed millions of people in Ukraine in 1932-33, adding that he would even order the famine documents to be declassified. Yanukovich, however, would not recognize the famine as genocide as many other countries and Ukrainian leaders have. The famine statement comes strategically before his visit to the United States to take part in the United Nations Global Summit. His visit will likely be used to seek more dialogue with the Ukrainian Diaspora abroad. Official estimates say that from 7 to 10 million people died during the famine, known as the Holodomor, in Ukraine. “I am told that I deny the famine somehow [so] I am initiating the declassification of famine’s archive documents,” he said. Answering questions of the US Atlantic Council members, President of Ukraine Viktor Yanukovych noted that democracy excludes oppression of citizens on any grounds. Language feature here is no exception. "The society understands that. As to the question of coexistence of people, who speak Ukrainian and those, who speak Russian, first of all, they do not different from each other. Therefore, no matter which language do people speak, they all want to live normally. I think our country is not the only one, where such a question exists. It exists in many countries. But in the developed democracies, these issues have been resolved long ago. There is the European Language Charter. 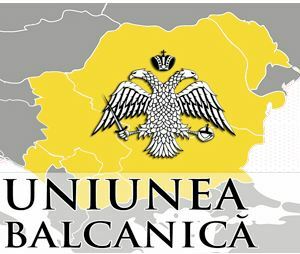 Ukraine is a member of the Parliamentary Assembly of the Council of Europe and observation of the Charter creates the conditions for coexistence of any peoples, who speak any language. In Ukraine, people speak not only Ukrainian and Russian. There are people who speak Hungarian, Romanian, Bulgarian, Greek, Jewish, etc.. 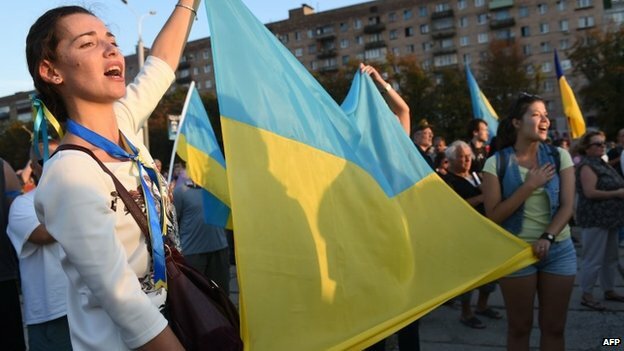 There are about 120 nationalities living in Ukraine. Ukraine is a very international state, and today, the problem is to create equal conditions for all the people, who live here and have the Ukrainian citizenship. NEW YORK, September 23 (Itar-Tass) - The Collective Security Treaty Organisation (CSTO) is ready to grant a special status to Ukraine and consider, if need be, the issue of its admission to the organisation, CSTO Secretary General Nikolai Bordyuzha told Itar-Tass in an interview. “We are ready to more closely cooperate with Ukraine on security matters,” he noted. “Moreover, if the Ukrainian side is ready we can decide on granting it a special status in the CSTO.” “This is useful, and I believe that it is an objective necessity, because states located in the post-Soviet space are facing one and the same problems,” the CSTO secretary general explained. 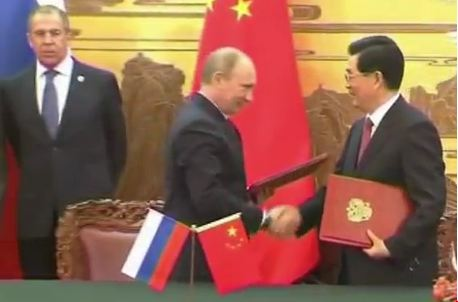 “In order to settle them we can together take corresponding measures, even without speaking about Ukraine’s admission to the CSTO,” he said. 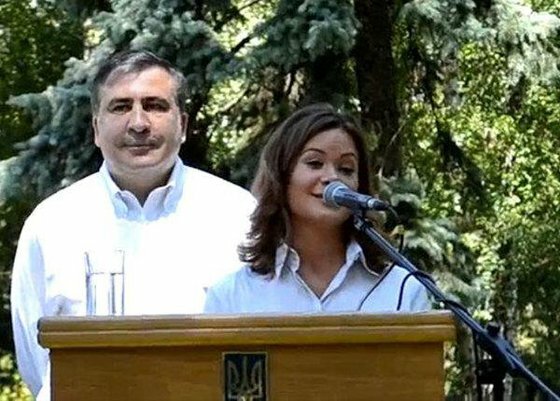 Розкол команди Януковича: "Донецькі" проти групи "РосУкрЕнерго"
Тріщина всередині владної команди Віктора Януковича стає дедалі глибшою. По різні боки опинилися дві найпотужніші групи: так звані "Донецькі", уособленням яких є Рінат Ахметов, Борис Колесніков, Андрій Клюєв, і так звана група "РосУкрЕнерго", представлена Дмитром Фірташем, Сергієм Льовочкіним і Валерієм Хорошковським. Після приходу Януковича до влади боротьба між цими групами розгорнулася одразу на кількох майданчиках - за політичний вплив, за розбудову бізнесу, та за самого Януковича. Якби подібні конфлікти спливли на поверхню в часи Віктора Ющенка, країна давно би вже стала свідком корупційного скандалу №2 - з викривальними прес-конференціями у прямому ефірі, звільненнями чиновників та закликом до акцій непокори. Однак поки бере гору природа Партії регіонів - тримати сміття в собі, а не виносити з хати. Чи надовго їх вистачить? EUOBSERVER / BRUSSELS – No EU money can flow to Ukraine's state programmes for the environment unless the government opens up to input from civil society, the European Commission said on Friday (24 September), while separately welcoming Kiev's new commitment to adapt its energy legislation to EU law.According to Bankwatch, an umbrella network of enviromental NGOs working in central and eastern Europe, Ukraine's environment strategy is being drafted in an undemocratic way and is "deceptive," because it allows an actual increase in CO2 emissions by 2020. By pledging to respect the EU target of reducing greenhouse gas emissions by 20 percent by 2020 compared to the 1990 levels, Ukraine can actually afford an increase of its current levels, as due to its industrial downturn, it currently emits less than half the CO2 it did in 1990. Since Viktor Yanukovych was elected president in February, observers have been looking for signs of whether Ukraine would move closer to Russia or continue integrating with Europe. The return of Yanukovych, who was swept from office by the 2004 pro-democracy Orange Revolution, sparked fears among some that the momentum of Ukraine’s domestic political and economic reforms would be lost. In a Q&A, John Hewko assesses Yanukovych’s first 200 days in office and how the United States and Europe should respond. Hewko argues that “it is critical that the United States and Europe continue to engage Ukraine” and outlines five steps Western policy makers should take to strengthen democracy in the country and build strong long-term relations. Україну на 20-ому році відновленої державності антидержавні сили вперто штовхають наступити на ті самі граблі, що всіювали впродовж століть дорогу національно-визвольних змагань. Дух Валуєвського циркуляру, Ємського указу та ще з двох десятків схожих актів імперських загарбників відродився у черговому "творінні" антиукраїнських сил. Законопроект "Про мови в Україні", зареєстрований представниками антиукраїнської коаліції, несе реальну загрозу українському суспільству. Йде повномасштабний наступ на глибинні пласти духовного життя народу, його історичної пам'яті, найціннішого надбання віків – української мови. Ukrainian President Viktor Yanukovych will deliver a speech on Ukraine's democratic path at the 65th session of the UN General Assembly during his visit to New York on September 21-24. 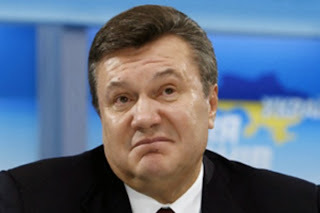 This will be Yanukovych's second trip to the United States. The Ukrainian president, who took office in February, first visited the country in April for a nuclear security summit in Washington. The Ukrainian president is expected to address the General Assembly with a statement concerning the freedom of expression in his country. Heorhiy Gongadze was murdered in 2000. An entire epoch has passed since the disappearance and murder 10 years ago of Ukrainian journalist Heorhiy Gongadze. The age of former President Leonid Kuchma, which gave rise to secret units of Interior Ministry officers (the so-called “Kravchenko eagles” who dealt with opponents of the regime in illegal and often lethal ways) too has passed. Kuchmaism began in Ukraine in 1994. Then, under mysterious circumstances, the chairman of the Ukrainian Barristers Union went missing. Enigmatic deaths that remain unanswered to this day followed: former National Bank Chairman Vadym Hetman, opposition leader Vyacheslav Chornovil, businessman and parliament Deputy Yevhen Shcherban, and many others. Prominent politicians, parliamentarians, journalists -- some died in strange road accidents, others were assassinated, and others seemingly took their own lives. EUOBSERVER / BRUSSELS - EU foreign affairs chief Catherine Ashton has indicated that Egypt, Israel, Indonesia, Pakistan, Ukraine and South Korea could join the EU's existing list of privileged or "strategic" partners. Ms Ashton put forward the new names in a powerpoint presentation at a meeting of EU leaders and foreign ministers in Brussels on Thursday (16 September). The roll-call of six countries ended with a "..." to indicate that the club remains open to other up-and-coming powers, an EU diplomatic source said. 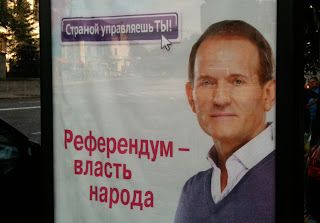 The Ukrainian Helsinki Human Rights Union has today called on the Prosecutor General and the Minister of Internal Affairs to ensure a swift, independent and efficient investigation of this assault Dementiy Bily, journalist and Head of the Kherson Regional Branch of the Committee of Voters of Ukraine (which is a member of UHHRU). Sept. 14, the City Mayor Volodomyr Saldo, who is standing for re-election for the third time from the Party of the Regions, was giving his report in the Kherson Theatre. There had been no announcement of the event either in the media or on the City Council’s website. There were rumours that invitations were being issued to those specially chosen, and leaders of civic organizations were not among them. There were two burly guys at the doors allowing in only those who had invitations. Dementiy Bily first endeavoured to enter simply as a citizen and voter, then as journalist from the publication “Politichna Khersonshchyna” [about events etc in the Kherson region], for which he had the relevant journalist ID. Neither he nor other civic leaders were allowed in, with Saldo’s Deputy overseeing this process. It was only when the Deputy Head of the Regional Administration intervened that they were able to enter. BRUSSELS, Sept. 13 (Xinhua) -- Ukranian President Viktor Yanukovych paid a visit to the European Union on Monday, seeking ways to strengthen relations between the two sides in view of the upcoming Ukraine-EU summit, which is scheduled for November this year. "We would like to have a free trade area agreement that would suggest the gradual integration of the Ukrainian economy into the European Union," Yanukovych said at a joint news conference with European Council President Herman Van Rompuy. In relation with the introduction of a visa-free regime, Yanukovych said that the works on the action plan have already started and that the process should be completed by the time of the next Ukraine-EU summit. "And we have a join vision of the process." EUOBSERVER / BRUSSELS - Ukrainian President Viktor Yanukovych gave EU commission chief Jose Manuel Barroso a football while visiting Brussels on Monday (13 September). But the EU-Ukraine feel-good factor is being undermined by accusations of creeping authoritarianism in the former Soviet country. Mr Yanukovych handed over the white, black and yellow Euro 2012 ball at a press conference in the EU commission headquarters following lunch with Mr Barroso and an earlier meeting with EU Council President Herman Van Rompuy. "This is a reminder that this is a joint project with the European Commission," he said, referring to the Euro 2012 finals, which are due to be played in Poland and Ukraine. A smiling Mr Barroso said: "Football and sport, when they are played with fair play, can give a great contribution for communication among people." The diplomatic gift is highly symbolic: Mr Yanukovych needs to ensure economic and political stability in Ukraine, in line with EU demands, if he is to build the roads and stadiums needed to host the football championship in time. Ukraine also hopes by 2012 to clinch a trade pact and a political "association" treaty with the EU so that it can use the positive atmosphere around the football event to file an EU membership application. 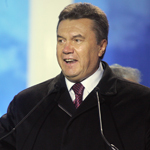 EUOBSERVER / BRUSSELS - A shake-down of leading NGOs and journalists by the Ukrainian security service in recent months has damaged President Viktor Yanukovych's pro-EU credentials ahead of his visit to Brussels on Monday (13 September). Nico Lange, the director of the Kiev office of the German foundation the Konrad-Adenauer-Stiftung told EUobserver that the Sluzhba Bezpeky Ukrayiny (SBU) has created a "climate of fear" in the NGO and media community since Mr Yanukovych came to power in February. Mr Lange himself was declared persona non grata and detained at Kiev airport for 11 hours in June when he tried to re-enter the country. He believes the ban was ordered by the SBU because of his work to help co-ordinate the activities of opposition parties and because he published a Yanukovych-critical report. The German pro-democracy activist, who has links to the highest level of government in Berlin, says his phone is still bugged. Kyiv Post. Independence. Community. Trust - Ukraine - Is She Next? 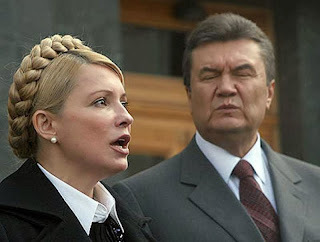 Several Yulia Tymoshenko allies are in jail, wanted or facing criminal probes. President Viktor Yanukovych’s administration says law enforcers are finally cracking down on corruption. But the main targets are people close to former Prime Minister Yulia Tymoshenko, who claims political persecution. She will lead an opposition rally on Sept. 7 outside of parliament. Several former high-ranking officials under ex-Prime Minister Yulia Tymoshenko, this year’s losing presidential candidate, are either behind bars or on the run. And now many in the embattled opposition are wondering who will be next. 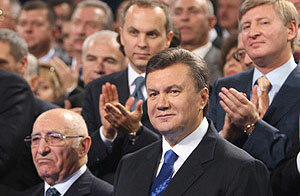 President Viktor Yanukovych and top officials say the sudden legal troubles of Tymoshenko associates are not politically motivated.